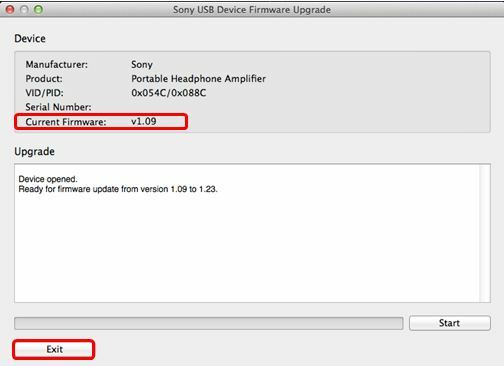 Download the update program (DFU_v1.23.dmg) from the how-to section of the Update Instructions page. Please save the update file to your computer's desktop (recommended). To double-click the file (DFU_v1.23.dmg) saved to your computer. To double-click the file (DFU Utility.app) of the open folder . Click the file icon and select "Get Info" from the "File" menu. Click the triangular arrow by "General" to confirm the file size. If it matches, then the download was sucessful. 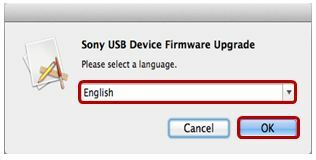 If it differs, delete the file and re-download. 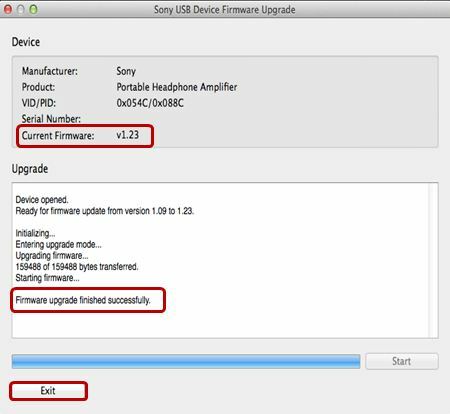 After setting up the above connection and checking that the device is turned on, double-click the file (DFU_v1.23.dmg) saved to your computer. 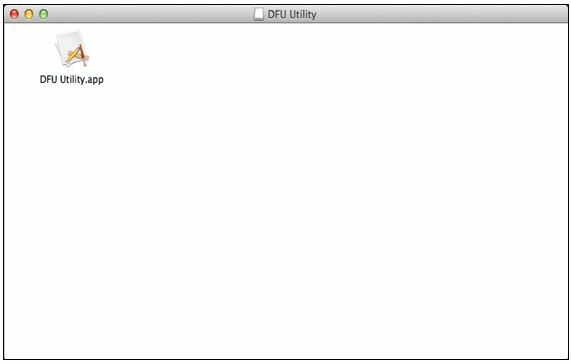 Double-click DFU Utility.app within the opened DFU Utillity folder. If the message "No device found. 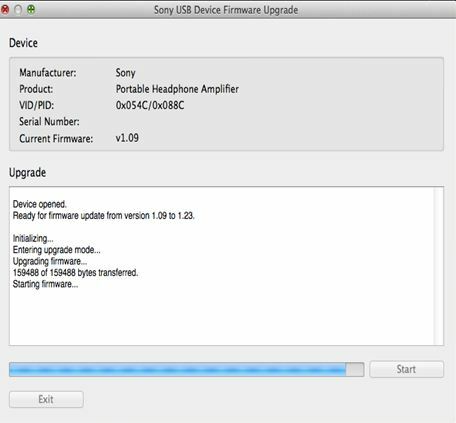 Please plug in the device you want to upgrade." 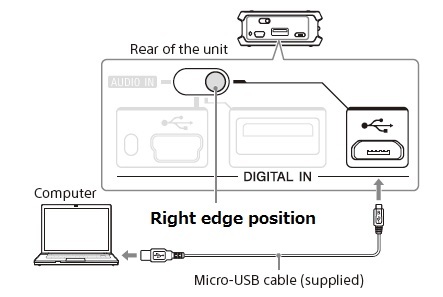 appears in the screen window, as shown below, confirm whether the computer and the device are properly connected, whether the PHA-2 is turned on, and that the input select switch is set to USB. 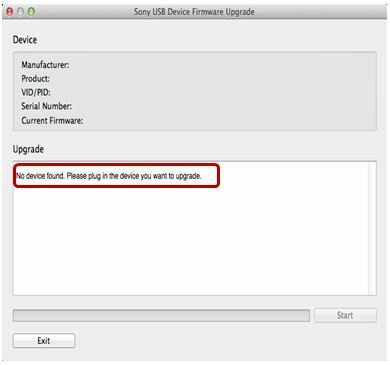 If the display does not change after having confirmed these things, unplug the USB cable from the computer and the device, and turn off the device. 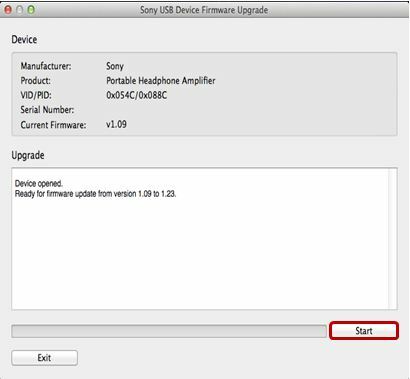 Reconnect the device and the computer by USB, then turn on the device and check the display."